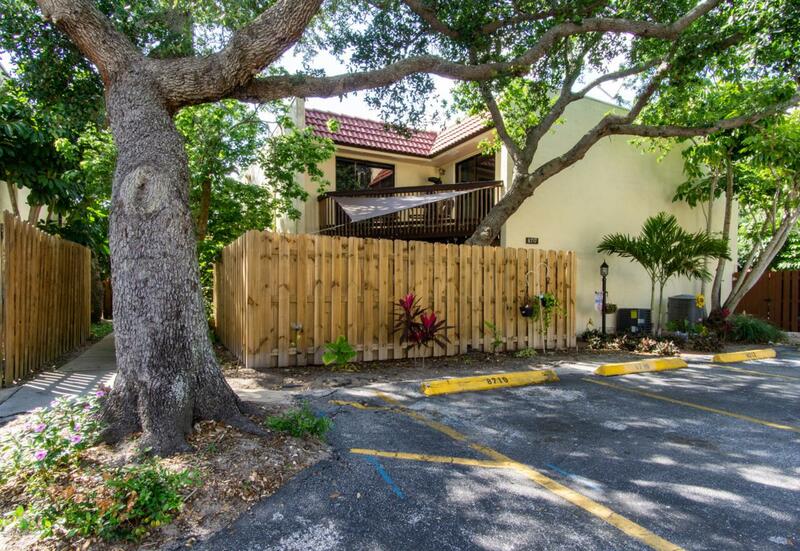 Desirable townhouse in the gated community of Ocean Woods. The townhouse is a short walk to the beach. The Ocean Woods community is a tropical, tree laden community that features an adult only pool and a heated family pool. This townhouse has a partially covered private courtyard enclosed with a wooden fence. The ground floor has a living room / dining room with a breakfast bar / island adjacent to the kitchen. The kitchen features stainless steel appliances. The downstairs bathroom includes a washer and dryer. Upstairs the townhouse has two bedrooms with a wooden porch. The upstairs bathroom features double vanities. Ocean Woods is an ideal location, close to Port Canaveral, many outdoor recreation activities, and easy access to the Orlando. 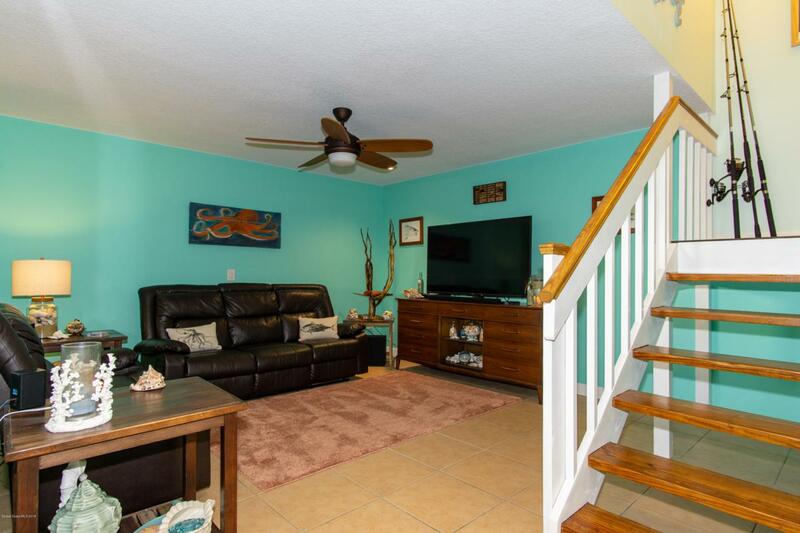 HOA $150.00 / month.Desirable townhouse in the gated beach side community of Ocean Woods. The townhouse is just a short walk to the beach along a private beach access path. 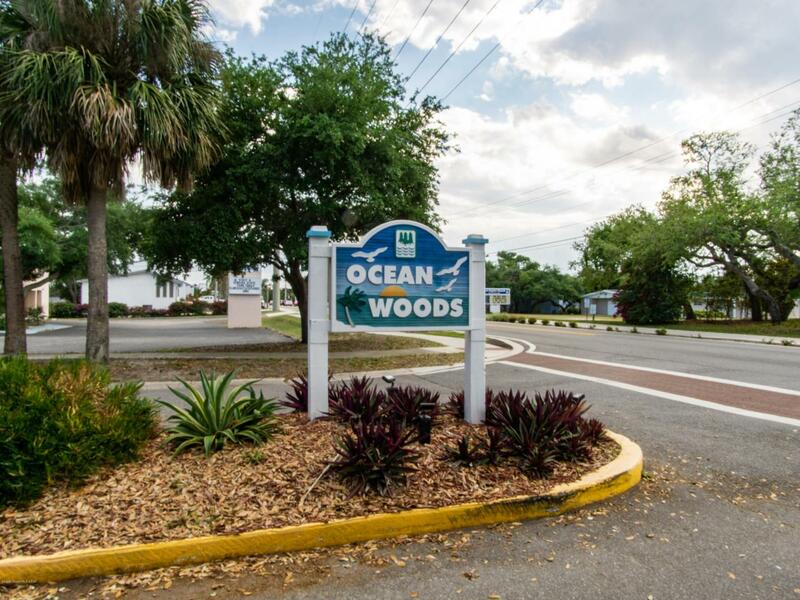 The Ocean Woods community is a picturesque, tropical, tree laden community that features an adult only pool and a heated family pool, tennis courts, shuffle board, handball and basketball courts, and a community clubhouse / recreation room. 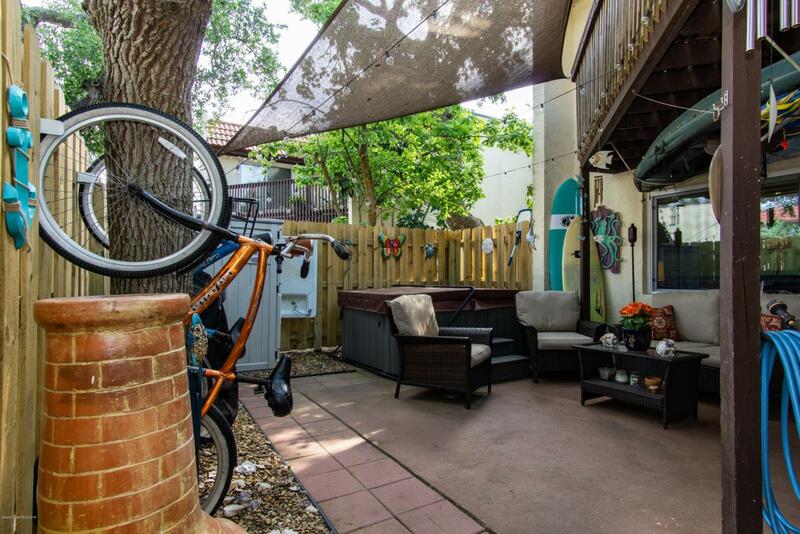 This completely remodeled townhouse has a partially covered private courtyard / garden area with an outdoor shower enclosed with a wooden privacy fence. The ground floor has a living room with tile floor, dining room with a breakfast bar / island adjacent leading to the kitchen. The kitchen features newer (2017) stainless steel appliances. The downstairs bathroom / laundry room was fully renovated in 2018 and comes with a stackable washer dryer. Upstairs the townhouse has two bedrooms with a wooden porch / deck adjacent to the master bedroom accessible via sliding glass doors to both bedrooms. The upstairs bathroom, remodeled in 2019 features his and hers double vanities. Ocean Woods is in an ideal location, close to Port Canaveral, abundant outdoor recreation activities, wonderful restaurants and easy access to the Orlando attractions via SR 528. The HOA amount for this beautiful townhouse is only $150.00 / month.